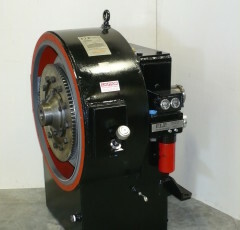 At Fitz Equipment, we pride ourselves on providing our clients the very best of shop torque converter repair services. We are vigilant to ensure that we minimize your downtime as much as possible by ensuring that our converters and component parts get to you on time from anywhere in the world. Whether you need a new Twin Disc Torque Converter or you need one fixed or modified, we can help! Model F units bolt directly to the engine flywheel housing. It is designed with a positive gear tooth drive that transmits power from the flywheel with no clutch. The Model F input drive is available on all sizes. 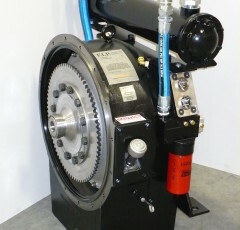 Model FO units are open-end, flywheel-mounted torque converters with overspeed or boom-lowering freewheel. Units are available in the 10,000 series. Type B: Chain housing. Available with the 10,000 and the standard-duty 11,500 series. Type C-3: The heavy-duty 11,500 series converter is offered with a heavy-duty type C-3 output. This series is adaptable to all applications required to withstand heavy side-pull loads. A disconnect-type fluid coupling P.T.O. The disconnect feature can be rapid or normal.